Northern New Mexico has a history of moviemaking going back to 1914. It boasts the largest skilled resident crew base between coasts as well as diverse talent pool with hundreds of SAF-AFTRA members. Santa Fe Studios offers two 19,275-square-foot stages, a 4,600-square-foot mill, more than 25,000 square feet of office space, and 57 acres for back lot. Garson Studios provides two stages - 14,000 square feet and 7,500 square feet- plus office space on an 80-acre campus. Well-known productions filmed in the Santa Fe area include: A Million Ways to Die in the West, Wild Hogs, The Lone Ranger, North Country, Bordertown, Independence Day, Natural Born Killers and City Slickers, as well as the popular Terminator Salvation (2009) and True Grit (2010), which was nominated for an Oscar for Best Picture. TV series filmed in the area include Manhattan, Longmire, and Breaking Bad. Over a five year period (fiscal years 2010 - 2015), the film industry created over 16,000 direct and indirect full-time equivalent jobs in New Mexico. NEW TAX DOLLARS | Every $10M spent in the region generates over $150K in local taxes. OPPORTUNITIES FOR ENTREPRENEURS | From mobile coffee carts to on-set massage therapists, the film industry has created opportunities for entrepreneurs, as well as new avenues for small businesses. PATHWAYS FOR FILM STUDENTS | The film industry has an enormous potential to retain our film students and contribute significantly to our younger demographic and creative economy. FRESH AVENUES FOR FILM-INDUCED TOURISM | For a successful film that prominently features a region's tourism assets, a $10M film has the potential to generate an additional 100,000 visitors, an additional $34M in spending, over 300 direct and indirect jobs and $1.2M in additional state and local taxes. Santa Fe Studios is a world-class film and television studio facility in Santa Fe, New Mexico. It is the world's first 'green' film-studio complex, incorporating native Anasazi design-principles in its architectural DNA, while also using the best of contemporary technology to be entirely state-of-the-art. Santa Fe Studios is a world-class studio facility in which feature films and television shows are manufactured. Within the walls of Santa Fe Studios, the imagination of the filmmakers runs wild, and anything they can imagine is translated into the magic of the movies and TV. Since opening its doors in late 2011, Santa Fe Studios has hosted numerous Hollywood box-office smashes, and filmmakers have traveled back in time to 1960's Las Vegas and the dawn of Sin City, to the 1880's wild west, to the upper reaches of the atmosphere in a hot air balloon, to the interior of quasars and quarks, and out to the furthest reaches of the cosmos. New Mexico continues to come top of the heap of global film and television production tables with its 30% rebate, largest crew between Los Angeles and New York, short 90-minute direct flight to LAX, over 300-days of sunshine, and diversity of filming locations. Blockbusters and Oscars love New Mexico. So will you! ​IATSE Local 480 represents professional film technicians working "below-the-line" on TV and movie productions in the state of New Mexico. Since 1988, Local 480 has covered experienced film workers in over ninety crafts within twenty departments. It is our goal to provide our members with the benefits of safe working conditions, health coverage and retirement. The New Mexico State Film Office serves the film and television industry locally, nationally and internationally. 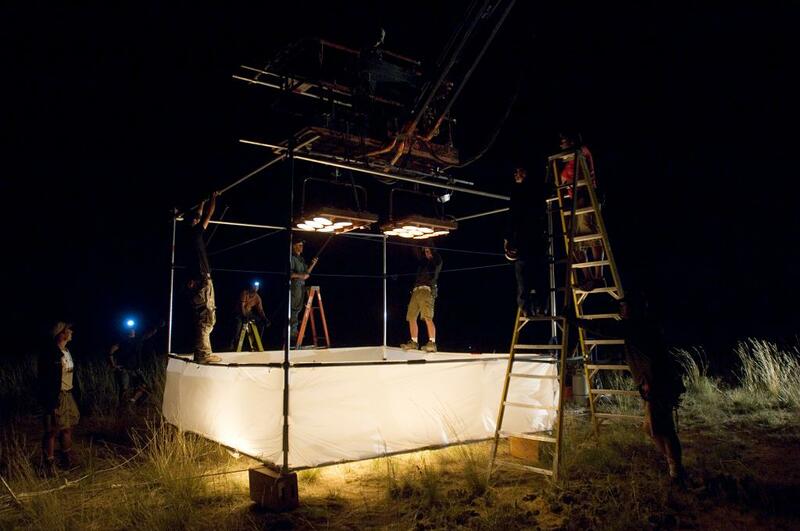 Our purpose is to market the state to this industry, service the productions and promote jobs for New Mexicans. We offer many resources to producers, film crew and local filmmakers. We work diligently to assist productions with finding potential filming locations. The State Film Office consults with productions regarding the financial aspects of their projects, guiding them through the incentives such as the 25% Refundable Film Production Tax Credit and the Film Crew Advancement Program. We connect productions with the crew, vendor services and film liaisons throughout the state.